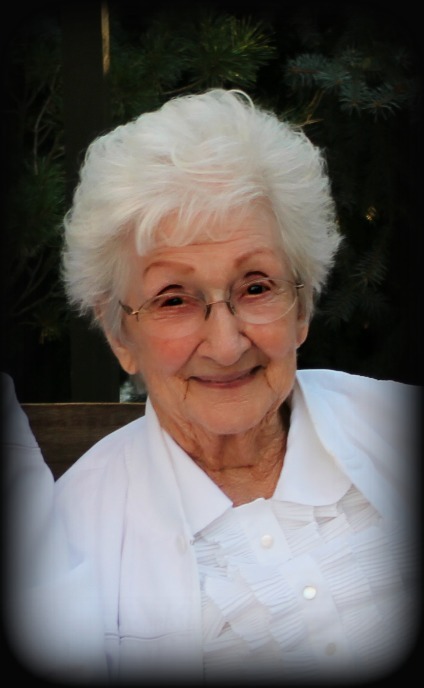 Charlotte Lassen Bradshaw passed into the loving arms of her Heavenly Father on January 20, 2019. Charlotte Lassen Bradshaw was born to loving parents Niels Andreas and Lydia Church Lassen on October 25, 1924 in Panguitch, Utah. Charlotte lived in Panguitch during most of her early years. Her father was a produce truck driver. He would truck produce to and from Arizona. He typically would drop his loads in Salt Lake City and then drive back to Panguitch and start over on the next run. Niels & Lydia decided to move to Salt Lake City so he would have more time to spend with the family who he was very devoted to. Charlotte was raised in Panguitch where she attended Panguitch High School. Later, when she was 17, their family left Panguitch and moved to Salt Lake City. After moving to Salt Lake City she met the love of her life Bill and they married a short time later on November 28, 1941. They were sealed in the Manti temple December 22 that same year. They then moved to Ogden, and a short time later their son David Niels was born. Shortly though, after Bill went off to World War II, it was very hard times. She was pregnant with Janet now and would soon have 2 young children. They moved to Wales, Utah to be near Bills family. They later moved back to Ogden where she worked at the railroad in the laundry, and then to the IRS. Soon she became pregnant with her next boy named Joseph William Jr., and shortly again after that with Brad Lassen. Many years later she became pregnant with her 5th child, Judy. Charlotte was a great cook, baker, and candy maker. She sewed, and always kept a clean home. In 1956 they moved to Washington Terrace to a home with a 3/4 acre lot. With that land they planted vegetables and had fruit trees that fed their family. An active member of The Church Of Jesus Christ Of Latter Day Saints she participated in her ward Choir and had a great love for music. She rendered service to anyone in need. She loved camping and square dancing, which led to her opening a square dancing business in her home. A home where she and Bill had loved their life together for 77 years. They were blessed with 11 grandchildren and 15 great grandchildren. There will be a viewing on Saturday, January 26, 2019 from 9am. To 11am. followed by a memorial service from 11am until 12pm. The services will be held at the church located at 5050 S 405 W, Washington Terrace, Utah.